As the 2018 Scholar Selection Process of the newly reinstated Rhodes Scholarships for West Africa reaches advanced stages, the dream of post-graduate studies at the University of Oxford, United Kingdom, will soon become reality for one remarkably brilliant student from Nigeria, Ghana or any other country in the sub-region. The selected candidate will join other scholars from around the world to commence studies at the prestigious university in the October 2018 academic session. Rhodes National Secretary for West Africa, Ike Chioke, reaffirmed this while providing update to the media on the progress of the scheme. According to him: "Following the formal re-launch of the West Africa Scholarships in May this year, and the call for applications which opened on 1st June, the scholarship application portal officially closed on September 30, 2017 while the timeline for submission of references elapsed on October 15, 2017." "A total of 2,948 applications were received from intending scholars across West Africa. However, only 505 completed the Scholarship information requirements. Of this number, a total of 244 candidates who graduated with a First Class degree or its equivalent made it to the next round, and we subsequently scaled down to 65 candidates based on other selection criteria including moral force of character, commitment to service and instinct to lead. Further screening and in-person interviews were conducted between November 17 and 19 in Lagos and Accra while the final round of interviews for a shortlist of 15 persons is scheduled for December 1 and 2. This is where the 2018 'Scholar-Elect' for West Africa will be decided." 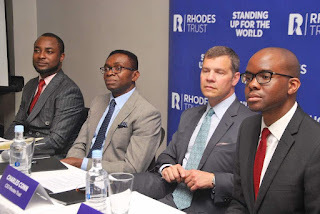 Chioke also revealed that the scholarship would cover all university and college fees, a personal stipend for room and board, health insurance and travel, as well as the costs of the Rhodes Leadership Development Programme at Rhodes House. "Depending on the course of study, the total value of the scholarship could range from £50,000 to £60,000 per annum, with the average tenure for a Rhodes Scholar being 3 years. Over time, up to three scholars in residence will be supported under each scholarship at a total of approximately £170,000 each year per Scholarship", he noted. The Rhodes Trust – the preeminent international scholarship programme established at Oxford University in 1903 – selects creative young leaders with a commitment to serving others. In the century since the establishment of the Rhodes Scholarships, the Trust has convened a community of extraordinary people who share a history of enriching their communities, pioneering in their chosen fields, and applying the knowledge and experience acquired as Scholars to the betterment of society. 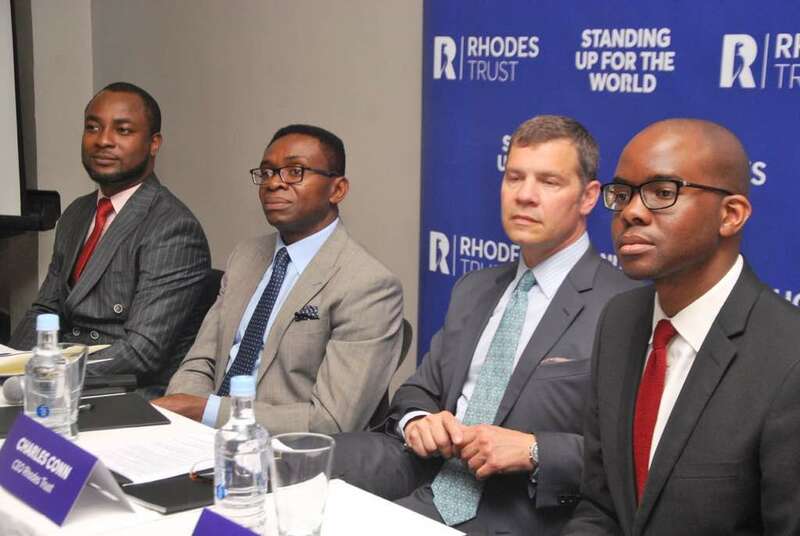 The new West Africa scholarships are part of a wider geographic expansion of the Rhodes Scholarships. The total number of Scholarships awarded each year will increase from 83 to 95, including new Scholarships in China, Israel, Jordan, Lebanon, Malaysia, Palestine, Syria, the United Arab Emirates and West Africa. This increases the number of Rhodes Scholars studying at the University of Oxford at any one time to approximately 250. The expansion into these regions marks a historic moment for the Rhodes Trust, and further strengthens the international Rhodes community.